this week we were able to go home to myrtle beach. it was such a great time with family and friends. my husband’s best friend got married and it couldn’t have been a more amazing time to share together. it just seems so peaceful down there and the weather was fantastic. already counting down the days until our next trip. hope you enjoy the photos…these were taken in one of my favorite spots (market commons). i'd totally wear something similar!! so effortlessly casual and chic! I adore your peplum top! The photo location is gorgeous too! 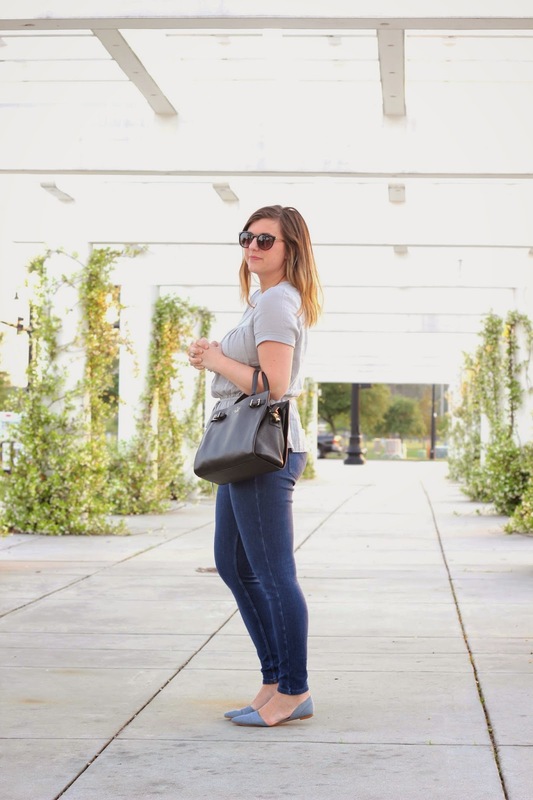 loving your chambray flats – and what a gorgeous spot for outfit photos! What a great photo location! And I love the flats! Amazing photos! 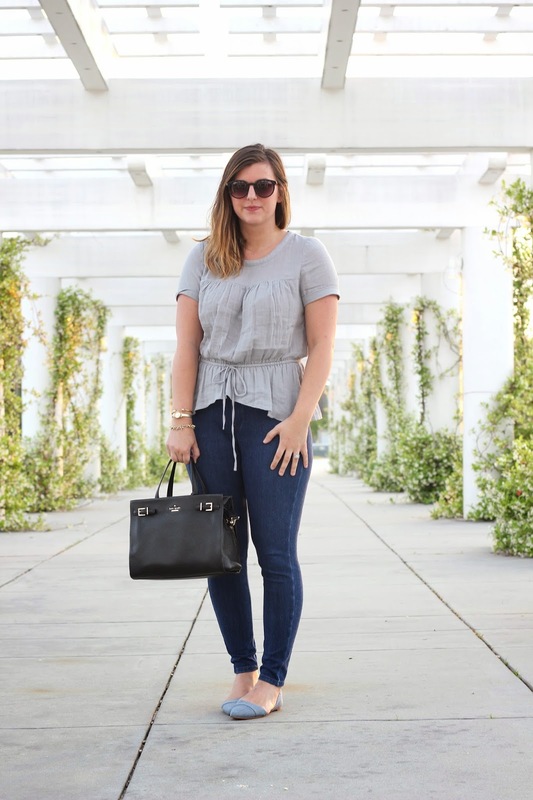 This is such a perfect simple and chic combo, I'm especially loving your darling blouse! What a pretty setting for taking photos! Love the shoes.